The New Mexico Radio Collectors Club, NMRCC is a not-for-profit organization founded in 1994 in order to enhance the enjoyment of collecting and the preservation and history of radios. 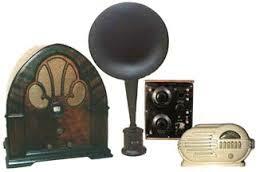 We are a group of active antique radio and memorabilia collectors who love to talk and show off our collections. Our members have extensive experience and expertise in repairing, restoring, and valuating antique electronics. We are primarily located in Albuquerque, but have active members throughou t the state including Las Cruces and Santa Fe. 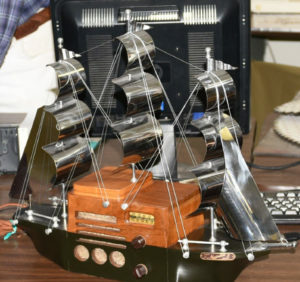 As a group we are focused on educating ourselves and the public about antique radios and of course enjoying the camaraderie. We welcome non-members who have questions about their current or possible purchase of an antique radio to give one of us a call (contact info below) or stop by one of our monthly meetings. Looking to sell or find a good home for the family radio or want to fix it up or get it running? You’ve come to the right place. Our club members can help you evaluate the worth of the radio and help you sell it, repair it or find it a new home. Give one of the contacts listed below an email or a call. Non-members are welcome to attend regular monthly meetings (participation in workshops, picnics and Christmas party require membership). Come and visit a meeting, share radio information, and hopefully join our club. We’d love to meet you.